RetailMeNot, the most widely used online coupon site in the United States, is the perfect resource for your Valentine’s Day shopping. 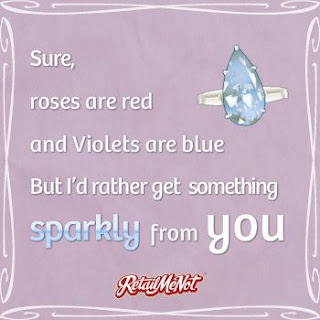 Whether you’re looking to woo your honey with a dozen red roses, a box of chocolates or a weekend getaway, RetailMeNot has compiled a much-loved list of special 2013 Valentine's Day coupon codes and exclusive offers so you can get it all for less. Men Outspend Women in Gift Giving for Valentine's Day by More Than $120. This is fantastic. Guys should always give the better gift right? Flowers are nice but I am hoping for some jewelry :) What are you hoping for? Do you want any of these gifts? They would be perfect to give to your loved one or even for yourself. There's nothing wrong with a little self-gifting right? 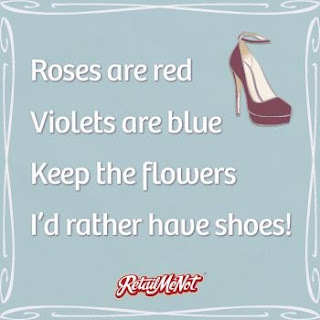 If so, be sure to enter the RetailMeNot Share the Love Sweepstakes for a chance to win something nice for Valentine’s Day. Click here to enter and don't forget to make and share a fun Valentine's Day card with your Facebook photos after you submit your entry! Hurry because the Sweepstakes ends February 14th! This is a sponsored post that I will be compensated for. Thanks for sharing some info on Retail Me Not. There are always people new to using the internet for different things and it's great to provide this type of information now and then for the newbies (like me). I don't think I buy anything online without looking for coupons on RetailMeNot. And, as far as Valentines Day goes, I would love a simple little necklace. The name ones are cute. Thanks for sharing some info on Retail Me Not. I always check out any coupons before shopping!! I wasn't aware of this website lol which I feel rather foolish about considering it's obvious popularity. Coupons are even more of a win! Btw, the last pic had me laughing. Loved it! I love retailmenot. That's the first place I check for online coupon codes! LOL funny idea to leave the computer screen on something you want. Retailmenot is such a great source for coupons codes. I have never tried retailmenot! I need to since I am always trying to get the best buy for my purchases. I had heard of retailmenot but just skipping over it, thanks for the post, I'll go check it out now! Thanks I entered the sweepstakes! Thanks for the info. I usually check for coupons but not always. I've actually used that site a ton of times for coupon codes. It's a great way to save, and you really do! I rarely make a purchase online without one. Foundation, eye shadows and all the moisturizers should be water-based and completely oil-free. hydrate the skin as well as to flush toxins out of your system. a flower located throughout India, Asia and Indonesia and used present in Ayurvedic medicines. various food as well as a preparation for precise meal delicancy.